Yep another salad. 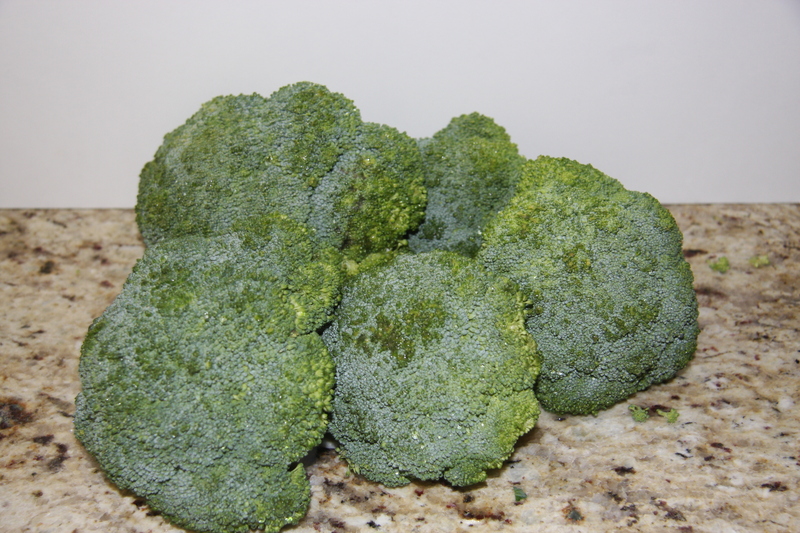 This time it’s broccoli. Not quite in season yet but of course it is available everywhere. 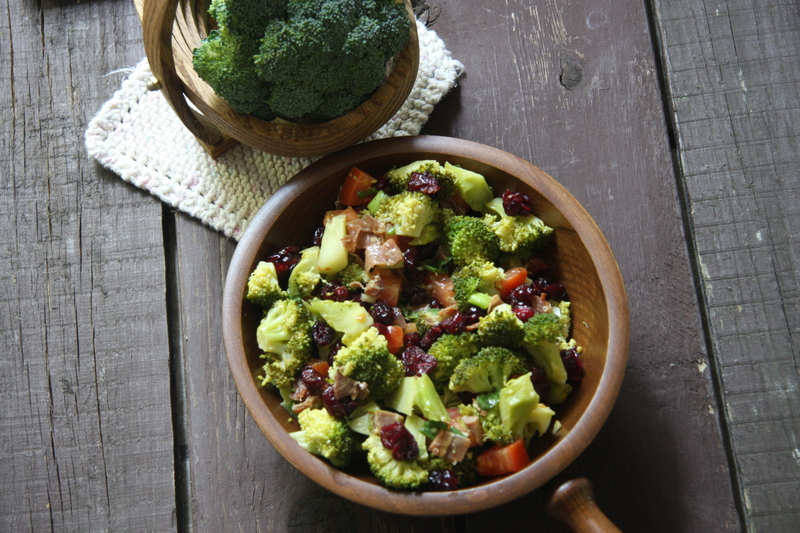 There are so many things you can do with broccoli. 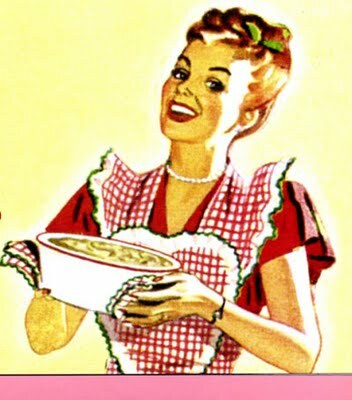 Make soups, stews, salads, bread it, fry it, stir fry it, stem it, I like them all. You just have to decide on which one you want to make. In the summer I like it in salads. Just wash it, chop it add dressing maybe even some fruit, cheese and your done. Full of nutrients that are good for you. Broccoli is a part of the cabbage family, no wonder I like it. Best to buy it locally when in season. For you are getting a humungous size for about 99 cents. This is the time to buy and freeze. Wash and chop them into small pieces. 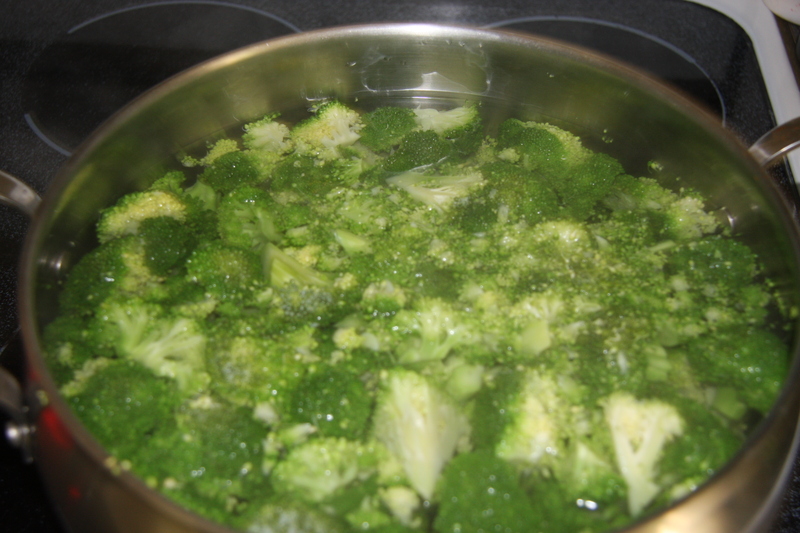 Into a pot of salted boiling water add the broccoli. Boil about 5-6 minutes. Drain. 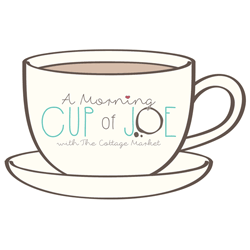 Place onto a dishtowel or keep it in the colander. It will steam dry this way. 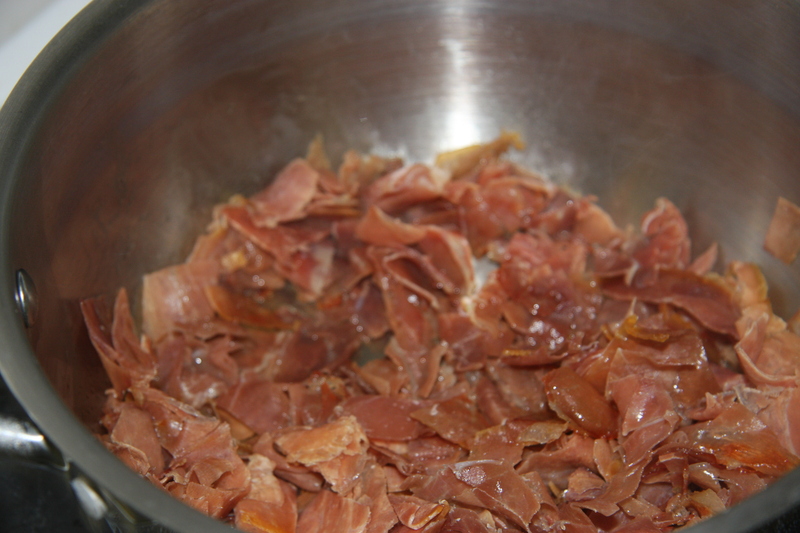 Fry 6 slices of prosciutto. Cool. 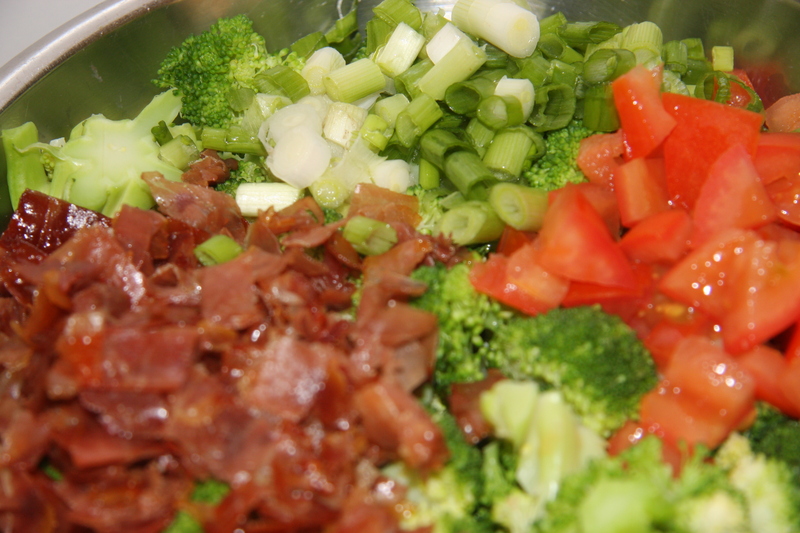 Place into a bowl broccoli, 2 chopped plum tomatoes, 3 pieces of green onions, 1 cup dried cranberries, 6 slices of chopped and fried prosciutto. 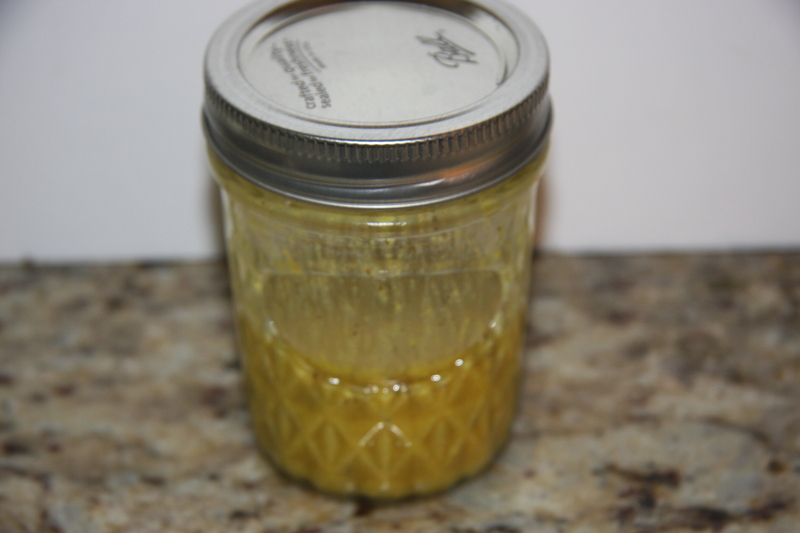 Next in a bottle add 1/4 cup of olive oil, 1/4 cup of mustard, 1 grated garlic clove and salt and pepper. Shake to combine. Pour over the salad and mix real well. Refrigerate for 2 hours. There you have it. It’s that simple. 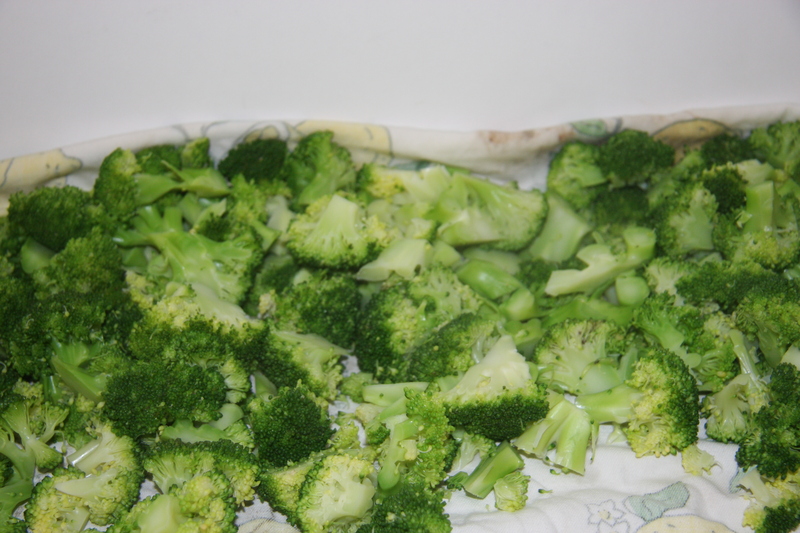 Chop broccoli and place into a pot of boiling water. Cook for 5 minutes. Drain, place on a dishtowel to dry. Mix oil, lemon juice, mustard, salt and pepper and refrigerate. 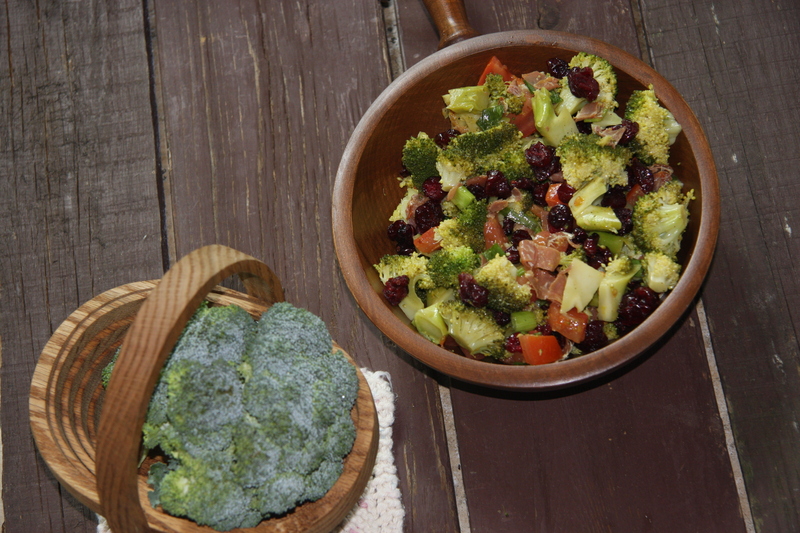 Place broccoli into a large bowl add green onions, dried cranberries, plum tomatoes and prosciutto. 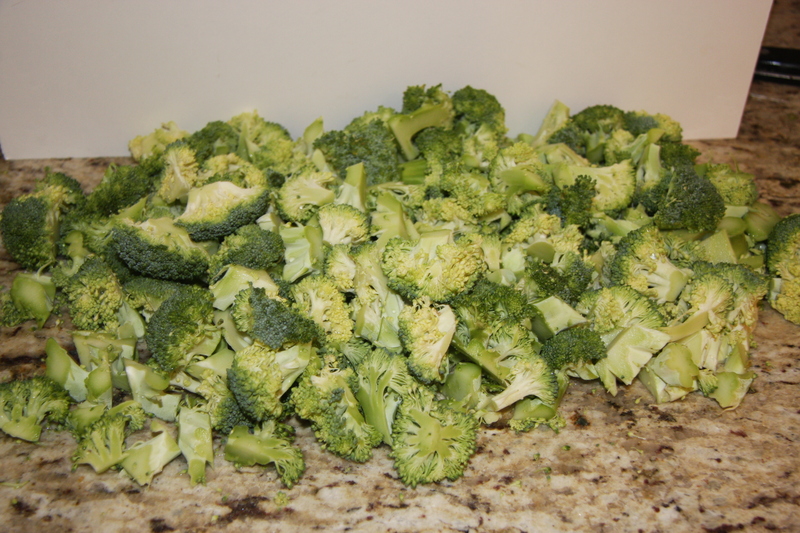 Pour dressing over all of this mix well and refrigerate for 2 hours. I like to serve this with crispy fried onion pieces that can be purchased in the grocery store. Great idea for a HOT SUMMER DAY.